Chamonix and its villages – where’s best to stay? 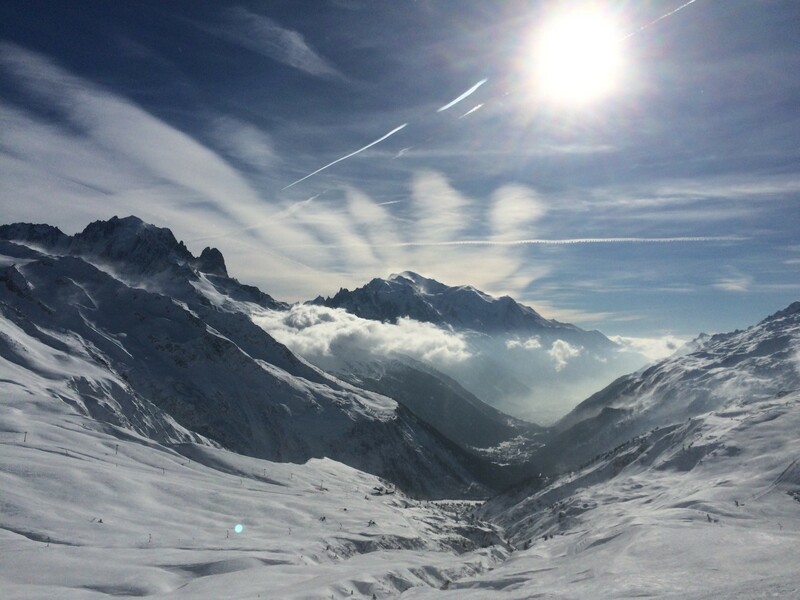 In most ski resorts, it’s reasonably straightforward – you want to be in the centre, near the lift – but Chamonix is different. It’s not a purpose built resort but a real mountain town, surrounded by small villages. 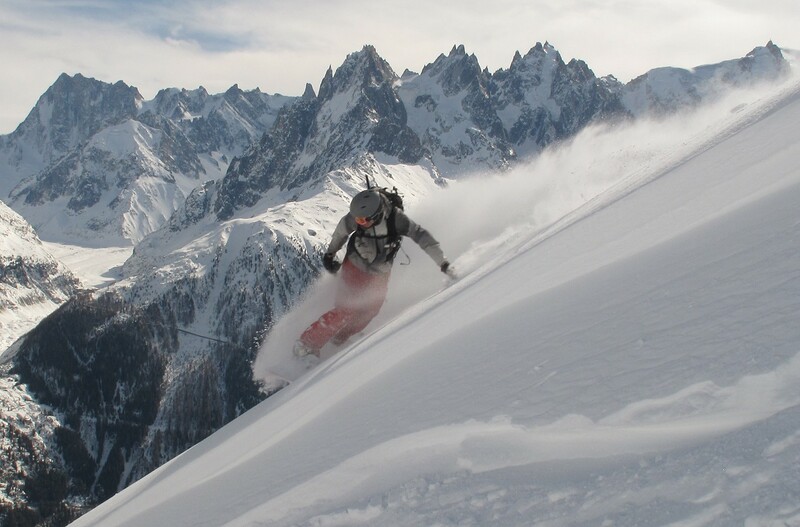 As it’s much more spread out, the pros and cons are a bit more varied – some parts of Chamonix can be quite central to the town, but a long walk to the lift. All of them have spectacular scenery, and each has its own appeal. I’ve put together an overview of the different areas to help you get a feel for them. The Chamonix area is made up of the town itself and a string of villages along the valley floor, most of which are clustered around a ski lift. All of these are often collectively referred to as Chamonix, as they are linked by a network of buses and trains, so it’s easy to get around. 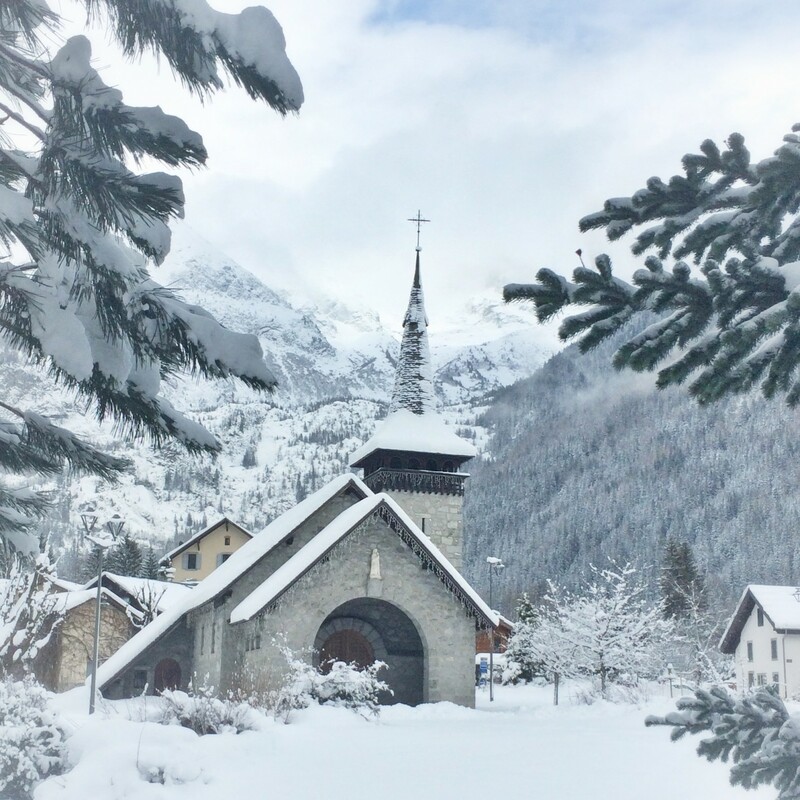 Places that describe themselves as being in Chamonix are not necessarily in the town itself so it’s well worth confirming the area before deciding on accommodation. Excellent on-slope food – the best in the valley. 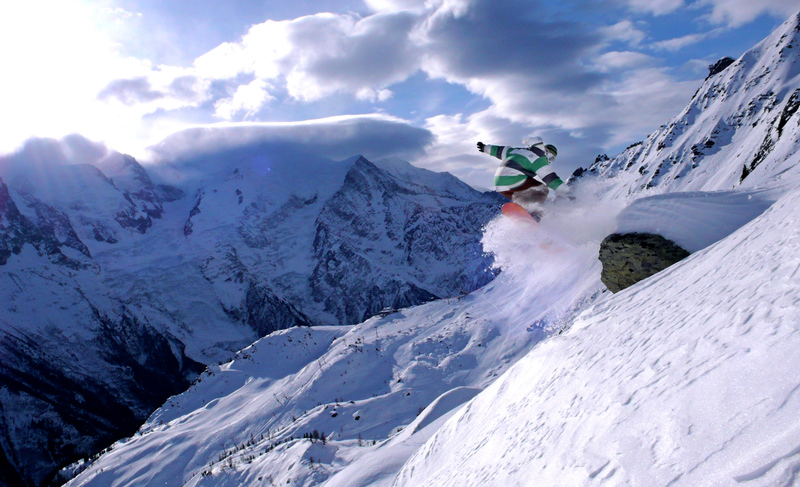 Les Houche’s pistes are gentler than elsewhere in the valley and it has more tree-lined runs. It’s very popular with families, and can get quite crowded during school holidays. There is some steeper terrain available though – the Kandahar World Cup black run is superb – but skiers wanting a bit more challenge might not want to do more than a day here. It also has some good high altitude cross-country skiing on the plateau, and a snowshoeing path at Le Coupeau opposite. 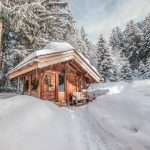 These areas between Les Houches and Chamonix have many lovely chalets, some of which are very upmarket – however, there are no lifts in this area and public transport is not often up to much, so you really need your own transport. 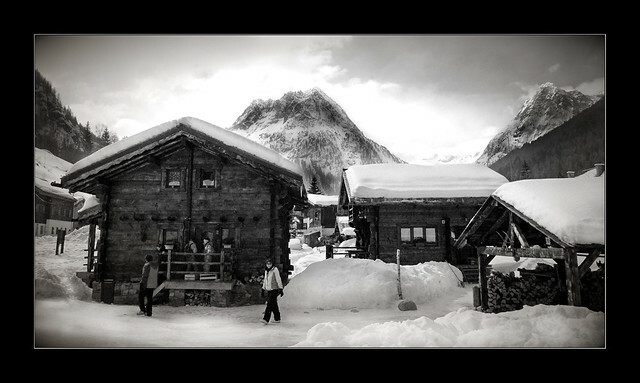 All the catered chalets here will shuttle you to and from the lifts as part of the package. This is undoubtedly convenient but can have the effect of rather insulating you from the life and atmosphere of the town, which to my mind is one of the most unique and fun aspects of Chamonix. Central Chamonix is the place to be if you want to go out a lot – there’s a huge choice of nightlife and the town is very lively. 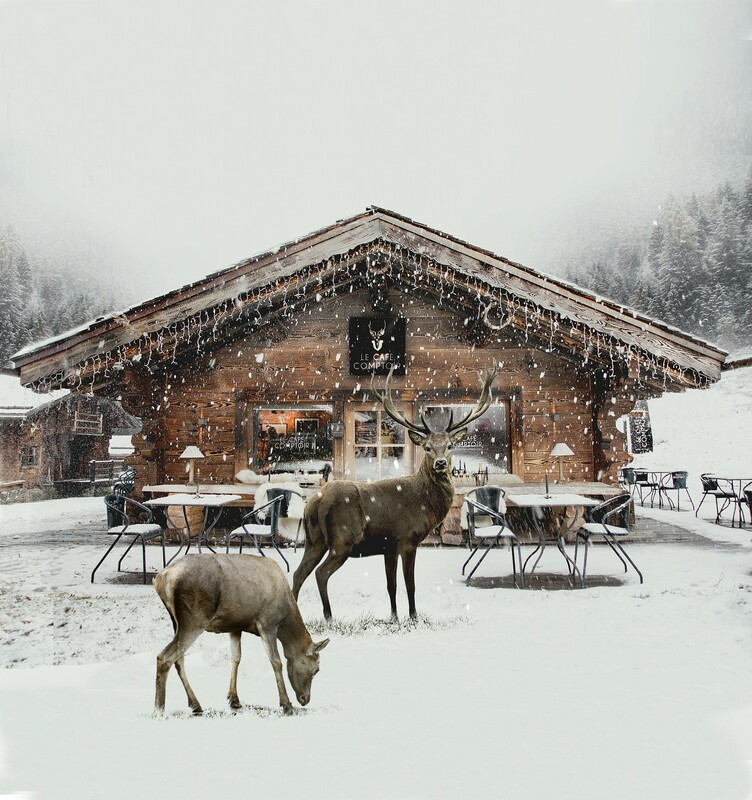 A lot of accomodation in central Chamonix is apartments, as chalets tend to be located in the villages or towards the outskirts of town. Although there are some lovely chalets very close to the centre, they often come with a price to match. Lots of bars, restaurants and clubs. Some parts are very close to the Brevent lift. The Brevent lift (on the outskirts of Chamonix town centre up a short but steep hill) accesses Brevent/Flegere, Chamonix’s biggest linked areas. Brevent has a good range of pistes including the Charles Bozon black run from the top, which is among the most scenic pistes in the Alps. Anyone can come up to the Panorama restaurant at the top and take in the views, as the two gondolas are also open to pedestrians. Nice big rolling blues and reds here, and some very good off piste too (for which you need a guide). Links to Flegere, so you can descent to either Chamonix or Les Praz. Universally (but affectionately!) known as the Ghetto, Cham-sud is a district of Chamonix with rather less appealing architecture, typically blocks of apartments. However, it’s also where a lot of lively bars are, and several excellent restaurants as well as the Aiguille du Midi cable car. Can be noisy – avoid anything looking over the main square unless you really want to party. I am of course biased about Les Praz , as it’s where we are. Still – there are good reasons why we chose here! It’s sunny, charming and the as first village past Chamonix, it’s close enough to access the town easily but bus, train or even foot, whilst enjoying the peace of being away from the centre. 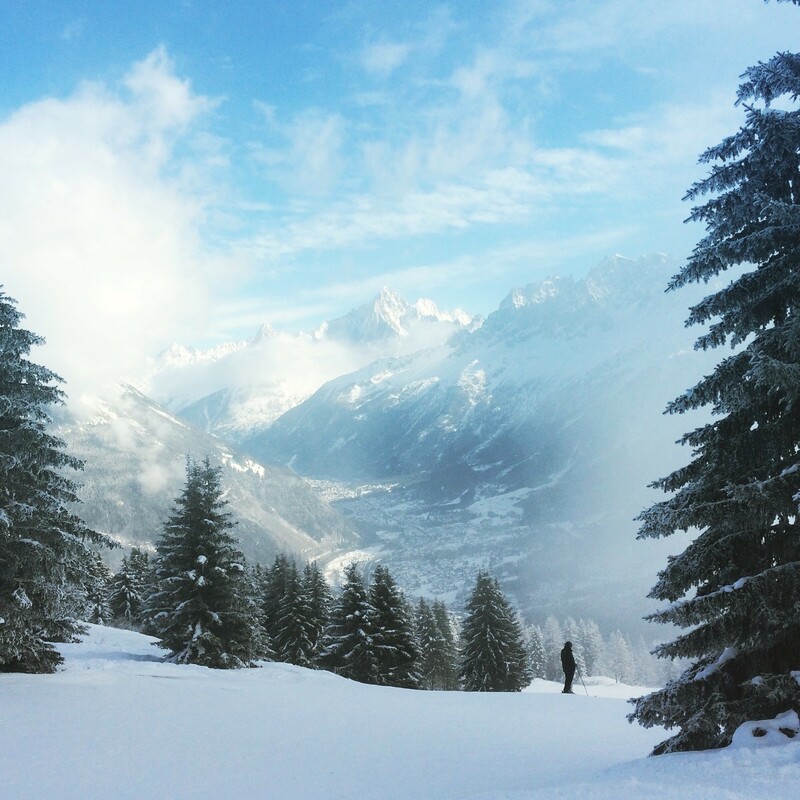 Home to the Flegere lift, which links with Brevent to make Chamonix’s biggest pisted ski area, the central position of Les Praz means Les Grands Montets and Le Tour are easily accessible without having to go through the town centre. it’s also got several very good restaurants, a few bars and shops including good ski hire places, and is not too far from Chamonix for a walk (20-25 minutes) or a quick cab ride home after a night out. The same advice goes for Les Bois and Les Tines, the two villages bordering Les Praz on the side furthest from Chamonix. Flegere’s sunny slopes and bowls are a fantastic natural playground, ideal for mixed ability groups as there’s so much variety of terrain. The Trappe lift accesses a couple of easy greens which are a great place for beginners to learn in unparalleled scenery, while the Floria accesses beautiful rolling reds and challenging blacks as well as very good off-piste (take a guide to access Flegere’s hidden gems). It’s worth getting up there early as the lift from the base at Les Praz can get very busy at peak times. The link across to Brevent opens up the whole south side of the valley and you can ski or ride back down to either Les Praz or Chamonix. Between Les Praz and Argentiere, up a winding road, lies Le Lavancher, a lovely hamlet which has a couple of nice hotels and the very upmarket Chalets de Phillippe complex. Very beautiful and tranquil but, again, you need to either be in a catered chalet providing transport or have a car. 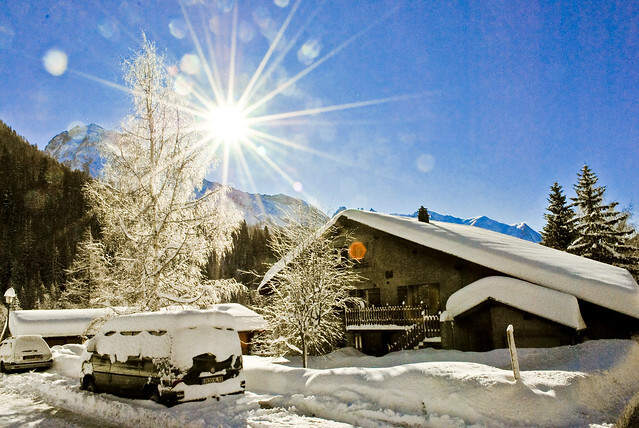 Home of Les Grands Montets, one of the most famous ski areas in the Alps, Argentiere is a lovely place to stay. It’s a good sized village with plenty of shops, restaurants and bars and a more relaxed atmosphere than Chamonix. Not for the nervous – has a few blues but they are pretty steep. Reds here would be graded blacks in many other places. One of the most famous ski and snowboard areas of the Alps, the huge drops and sweeping runs of Les Grands Montets are unmissable. The black runs from the top lift are unlike anything else, with their massive powder fields bordered by wildly crevassed glaciers. A day out with a guide is highly recommended to access some of the world’s most spectacular lift-acessed off piste. Also has a very good terrain park and some lovely forested areas. Good learner slope at the base, with play area for small children. 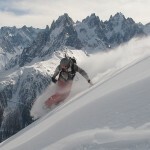 More about skiing and snowboarding at Grands Montets. A cluster of chalets, loosely centred on Montroc-Le Planet railway station, this is a beautiful part of Chamonix. Not much accomodation is available here, but if you aren’t bothered about nightlife, and just want to appreciate the wild beauty of the valley, it’s a wonderful place to stay and worth seeking out. Le Tour and Les Grands Montets are both close by for skiing (a five minute bus ride in either direction) and Argentiere is (just about!) walkable for restaurants and bars. Wondering where looks best in the valley for skiing this morning? Look out of the window! Almost at the top of the Chamonix valley, Le Tour is a quiet and pretty hamlet – just a few streets and a couple of restaurants around the lift. Has a good range of slopes, with plenty of fun blues. A long taxi ride back from anywhere after a night out, the night bus doesn’t go this far. Vallorcine remains one of the quieter areas of the valley – a good tip for peak times is to get on the lift here if there are queues at Le Tour – and has a nice mix of pistes including some super tree runs. Links to La Balme to give access to the village of Le Tour.